The sale from captive-bred lions will reduce the Asian appetite for wild lion parts from a growing market for exotic products such as tiger-bone wine. This appears to be the view of South Africa’s Department of Environmental Affairs, but conservationists are fiercely critical in view of significant evidence that South Africa’s legal trade in captive-bred lion trophies is accelerating the slaughter of wild lions for their parts in neighbouring countries. The South African Department of Environmental Affairs’ (DEA) has blatantly ignored public opinion by formally approving the export of 800 lion skeletons to Asia this year. This in spite of overwhelming international condemnation from conservationists and local stakeholders. The numbers of African free-range lions have declined alarmingly over the last few decades with only 20,000 remaining today, down from 30,000 just two decades ago. “It is irresponsible to establish policy that could further imperil wild lions,” said Dr. Paul Funston, Senior Director of Panthera’s Lion Program earlier this year when the DEA first proposed its plans. The DEA believes that the sale from captive-bred lions will reduce the Asian appetite for wild lion parts from a growing market for exotic products such as tiger-bone wine. Lion bones have lately been sold off as tiger bones since the latter have become extremely rare due to the scarcity of tiger bones . But says Funston: “South Africa’s lion breeding industry makes absolutely no positive contribution to conserving lions and, indeed, further imperils them. In 2016, according to Panthera, 90% of lion carcasses found in the Limpopo National Park in Mozambique all had their skulls, teeth, and claws removed while rates of poisoning lions specifically for bones increased dramatically in Niassa National Reserve in northern Mozambique. In Namibia, 42% of lions killed in the Caprivi had their skeletons removed. Lion bones arrive in Laos but are then illegally exported to Vietnam without the requisite CITES export permits. Here they are boiled down, compacted into a cake bar and sold at a price of around US$1,000 to consumers who add it to rice wine. 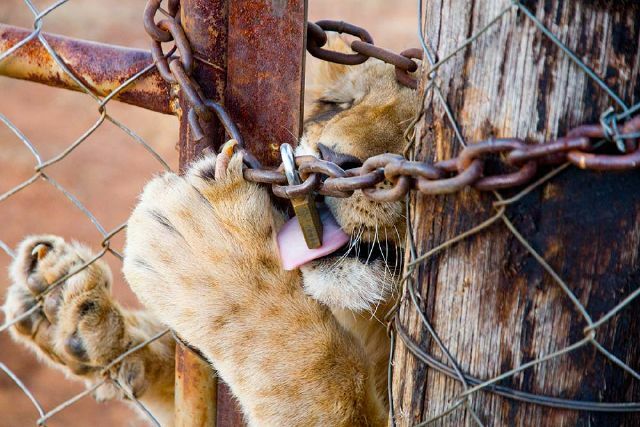 The DEA’s move is widely regarded as open support for the controversial practice of canned lion hunting. A captive lion breeder – one of 300 in South Africa – can be paid anywhere from US$5,000 to US$25,000 for each lion permitted to be shot . Now they can add an additional $1,500 per skeleton permitted to be sold to Laotian buyers. In January, the DEA was accused of not giving the public time to object. Michele Pickover, Director of the EMS Foundation,, says the DEA has not been transparent in the manner in which it has set the proposed quota. The DEA initially made the decision without public consultation in January but were forced to hold a stakeholder meeting to comply with CITES quota conditions. The meeting, publically announced on 25 January and held just one week later, left virtually no time for popular comment, submissions or intervention. “One has to ask what the DEA’s internal processes are for properly, carefully and accountably assessing the merits of the submissions they receive. It looks like they have totally ignored the input by a number of NGOs against the quota,” says Pickover. This article was published with the support of the Conservation Action Trust. 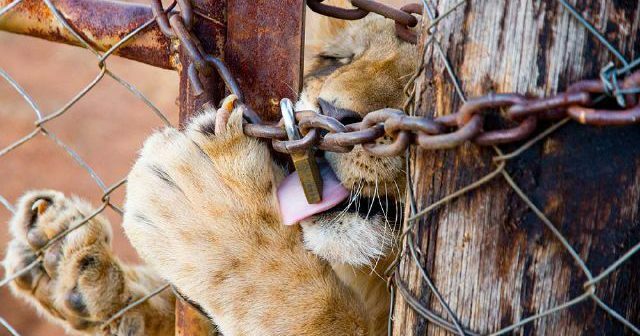 Image for this article: Captive bred lions by Pippa Hankinson, producer of the award-winning documentary film Blood Lions a compelling call to action to have canned hunting stopped as well as slaughter for the lion bone trade.